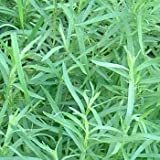 Tarragon growing shrub‎ of the genus Artemisia also known as Tree Wormwood, Tarragon perennial evergreen plant also used as ornamental plant and fragrant plant, grow in mediterranean, subtropical, temperate climate and growing in hardiness zone 4-10. Leaves are green-gray and edible and narrow and elongated shape. Flower color yellow, the flowers grow in the end of the branch in spherical structure. 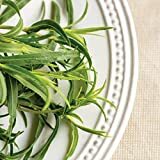 Organic vegetable Tarragon seeds (Artemisia dracunculus) Estragon - 500 seeds.